Listing provided courtesy of Wesley Royal of Coldwell Banker Res. Brokerage. Last updated 2019-04-24 20:10:24.000000. Listing information © 2016 SANDICOR. This Detached property was built in 2007 and is priced at $829,000. Please see the additional details below. This is a stunning fully turn-key home located in Bridgewalk, a beautiful planned community in the heart of everything that Del Sur has to offer. 3 Bedroom plus second floor landing office area! 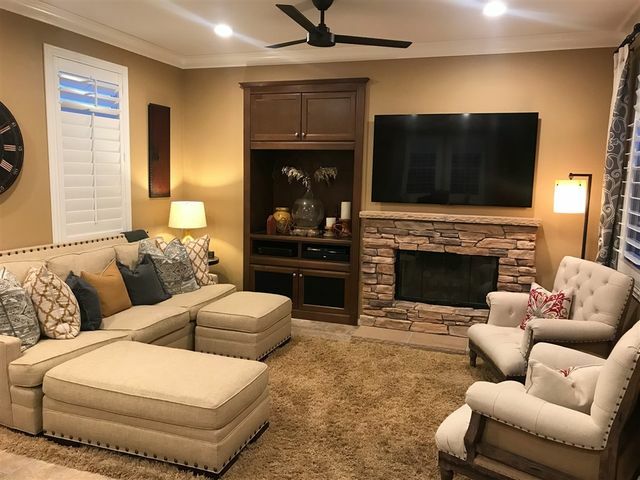 Great open concept floor plan that features family room w/ cozy fireplace, media niche, volume ceilings, large open kitchen with stainless steel appliances, master bedroom suite w/ walk-in closet, dual sinks, separate roman tub and shower, 2 car garage. TOP rated Poway schools! !